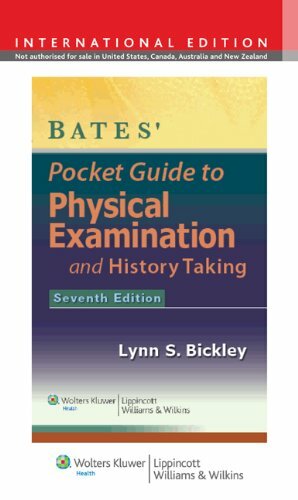 This concise pocket-sized guide presents the classic Bates approach to physical examination and history taking in a quick-reference outline format. 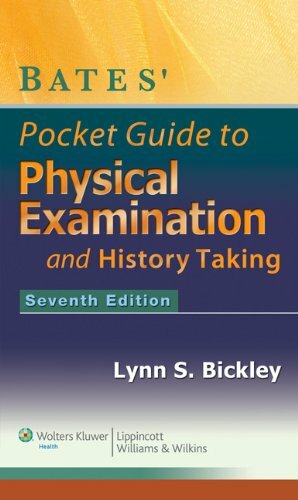 The book features a beautiful full-color art program and an easy-to-follow two-column format with step-by-step examination techniques on the left and abnormalities with differential diagnoses on the right.This edition's health promotion sections have been extensively updated and expanded in all chapters. Detailed information on pain assessment is now included in the general survey, vital signs, and pain chapter. A new chapter presents assessment of mental health status and behavior to encompass the psychosocial dimensions of care.